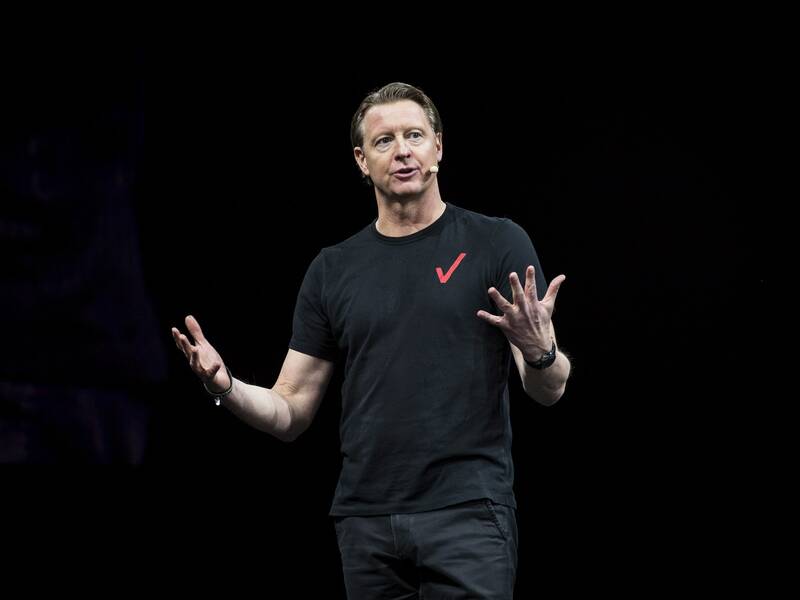 Hans Vestberg, CEO of Verizon, which announced its first 5G offerings for mobile phones on Wednesday. 5G is coming, and with it a massive boost in bandwidth that will feed artificial intelligence applications, enable the long fabled Internet of Things, and deliver more streaming video. Lots of streaming video. But all that extra bandwidth won't be much use if the average consumer can't afford a 5G connection, or if those connections are hobbled by restrictive bandwidth caps. When the major carriers rolled out 4G in the early 2010s, it typically wasn't offered as a separate service from their existing 3G networks. 4G speeds were used as a selling point where they were available, but they didn't cost consumers directly. That might not be the case with 5G. Verizon Wednesday announced what could be the first “real” mobile 5G service in the US, dubbed "5G Ultra Wideband." It’s scheduled to launch April 11 in "select areas" of Chicago and Minneapolis, as a $10 add-on to the carrier's existing unlimited plans; there will be no additional charge for the first three months. The first 5G capable phone for Verizon's network will be the Motorola Moto Z, which requires an additional $50 hardware accessory called the "5G moto mod" to actually use the new service. The company plans to expand to at least 30 cities this year. Verizon isn’t advertising specific speeds yet, but says the service will use millimeter-wave technology, a key part of the official 5G spec. AT&T last year started branding some of its 4G LTE networks as "5G Evolution," as in evolution towards 5G. But the service, which prompted a lawsuit from Sprint, isn't based on the 5G specification. AT&T announced a millimeter-wave-based service called "5G+" in December, but that service only works with mobile hotspots in a few cities. Last year, Verizon launched a home broadband service called 5G Home that uses millimeter-wave technology. The home service isn’t compatible with the new mobile 5G service. Verizon's announcement is the first hint that the major carriers won't treat 5G as a routine upgrade to existing networks, but as a premium service for those willing to pay extra, at least for now. That could change as 5G becomes more widespread or as the wireless market itself changes. T-Mobile CEO John Legere promised in a letter to the Federal Communications Commission that if regulators approve its acquisition of Sprint, the company won't raise prices for three years. PC Magazine reported last month that T-Mobile CTO Neville Ray said the combined company won't charge extra for its forthcoming 5G service, which it plans to launch later this year. Sharma expects that to drive down prices for 5G. If T-Mobile and Sprint combine, however, that would mean one less competitor in the wireless market. There’s some good news from Verizon for those who keep a watchful eye on their data usage. Today, virtually all "unlimited" plans still have some sort of limit on data use before you run into restrictions. Verizon, for example, discloses that it may slow down the connections of its “Beyond Unlimited” customers that use more than 22GB of data during a billing cycle. But Verizon's website says there will be no such limits on the 5G Ultra Wideband. Again, for now. Colleges Need Influencers, but Do Influencers Need College?